WAKIKI is keen to offer its customers so much more. From simple, secure and single payment platform to flexible delivery time slots and prompt delivery (WAKIKI delivers 365 days of the year). 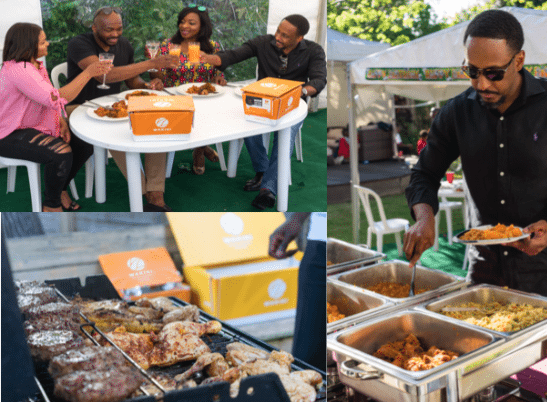 Bespoke, durable and recyclable food delivery boxes varying in different party sizes feeding anywhere between 4 – 6 people up to the largest party box which feeds 30 – 40 people. WAKIKI offers flat rate delivery charge and the delivery charge is the same whether the quantity ordered or the customer’s postcode. Have you had a look at our wonderful selection of talented Chefs which have an array of different dishes to choose from? Have a look at the Chefs section to find out more! Most importantly the experience! 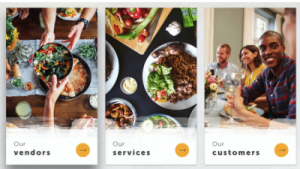 From signing on with WAKIKI, to order food, delivering and arriving on your doorstep, here at WAKIKI, we need to ensure the experience is top notch for you! We are! Let WAKIKI help you! WAKIKI offers incredible food dishes when it comes to your BBQ needs. It’s time to truly embrace the start of summer with a BBQ! The BBQ month to come marks the beginning of the Afro-Caribbean love of food and packed backyards with friends and family – nothing does it in quite the same way as a BBQ! WAKIKI professionally curates quality, expertly prepared Afro-Caribbean food and promises its customers a sophisticated and expert food delivery service. Along with all your prepped food needs, WAKIKI also offers catered food for all your event needs. Have a wedding or anniversary coming up? What about a birthday party? Or simply would like to spend more time catching up with friends rather than to cook? WAKIKI is ready to support your food needs with catering options! You sit tight and we prepare the food for you! How much easier would it get? CLICK HERE TO ORDER. WAKIKI appreciates their customers and for the summer months to come are offering 50% off all food deliveries! Yes, 50% off food deliveries to you! How much easier does it get to order from WAKIKI now? Click here to get started.